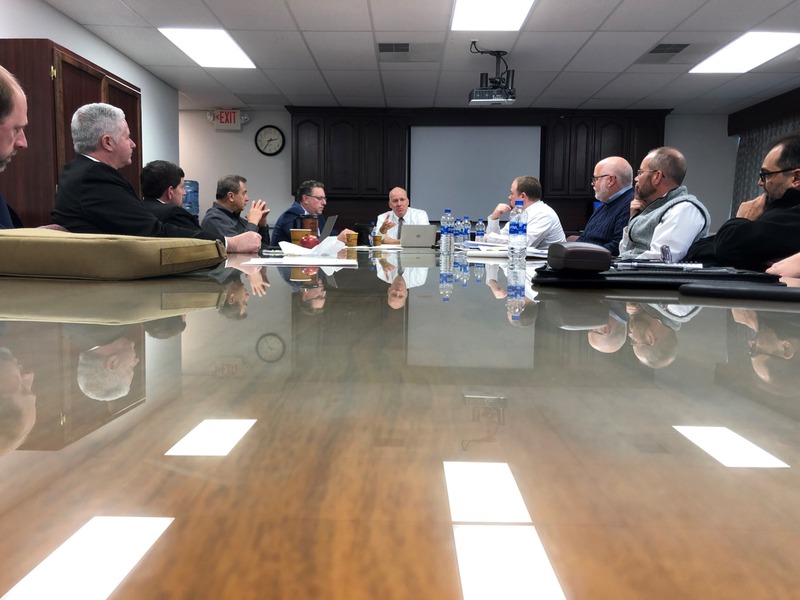 Superintendent David Healy sits at the head of a conference room table discussing the upcoming referendum projects with district colleagues and consultants from Maser. 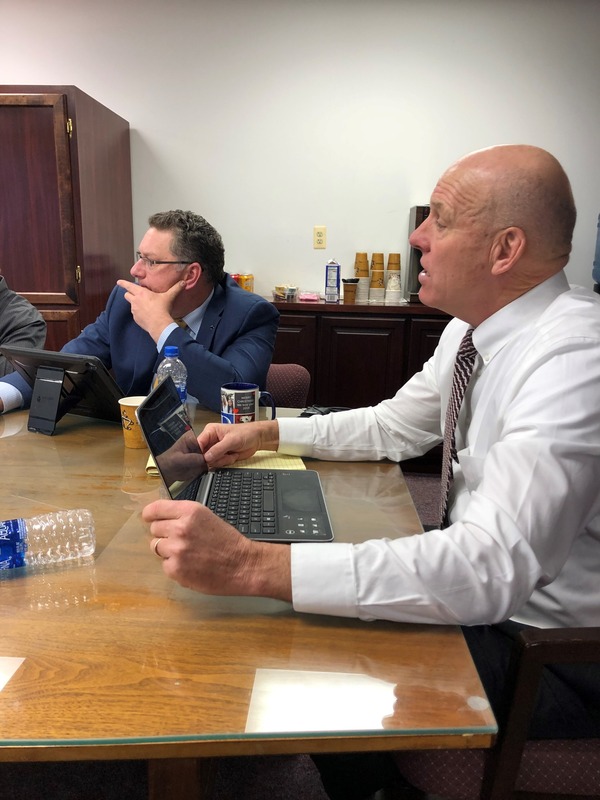 Jan. 30, 2019-- On the heels of last week’s public approval of the Rebuilding Our Schools Initiative and referendum, Toms River Regional Schools officials wasted no time getting to work. 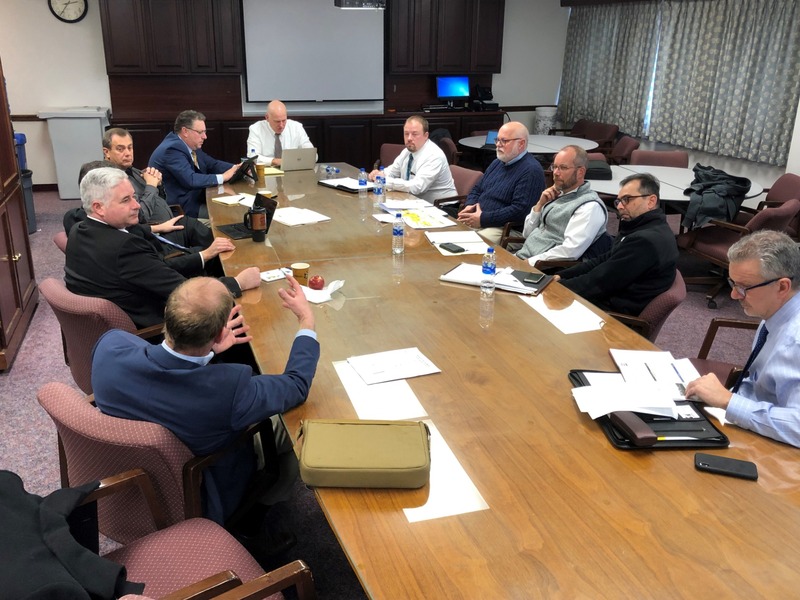 Yesterday district leaders including Superintendent David Healy, Board President Joseph Nardini, administrators, and facilities personnel met with representatives from Maser Consulting to outline upcoming plans and solidify communication moving forward. Among the many topics discussed were ensuring inter-departmental support; communication with the community; health and safety projects; underground utilities mark-outs; and prioritizing projects. With referendum projects years in the making, and with schools and district families anxious to see improvements, the common themes of the meeting were “now” and “ASAP.” The bid spec process, for example, will begin immediately with a goal of an April release and June approval. Design for A/C and electrical upgrades will also begin immediately. Among the anticipated Year 1 projects to begin this summer are all playgrounds; hydration stations at all schools; security upgrades; high school turf athletic fields; critical facade work at Intermediate East and duct work at High School North; and much more. Additionally, ESIP projects which are already underway will continue as planned, such as boilers and chillers, district-wide lighting, retro-commissioning, and energy-management systems. In the next several days, Maser will present the district with a manageable itinerary of projects based on what was discussed, and then reach out to every contractor in the state to promote competitive bidding. The referendum planning team will meet again in the next two weeks, and the district will continue to provide progress updates on its Rebuilding Our Schools website. Left: Superintendent David Healy speaks during a Jan. 30 meeting to discuss the projects associated with the recently-approved referendum and Rebuilding Our Schools Initiative. Above: Representatives from Maser Consulting joined district leaders and facilities personnel to begin implementation of the referendum-based priority projects. Work is slated to begin this summer.